Google has announced 2017 as the planned launch date for its “Project Wing” drone delivery service. The service plans to deliver consumer goods and products from door-to-door by unmanned aircraft in under 30 minutes. The announcement from David Vos, the project leader at Project Wing, came after successful test flight deliveries in Australian trials earlier in the year. 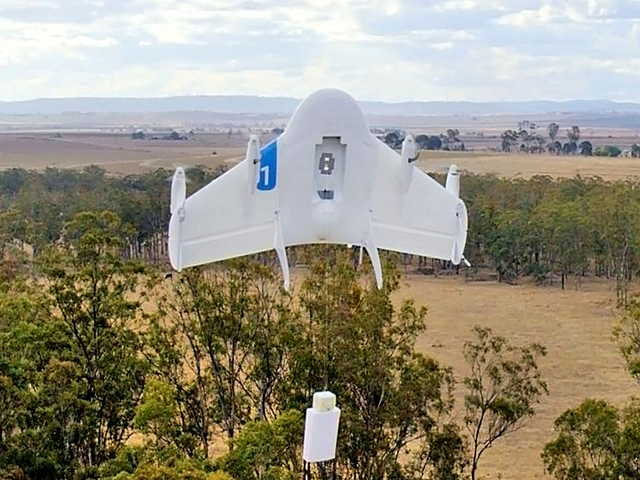 This could potentially make Google first to market in a drone delivery space that has drawn interest from the likes of Amazon, Alibaba and dozens of others. Google drones are said to have a five pound (2.3kg) carrying capacity and the ability to hover over the delivery area while the package is winched to the ground.